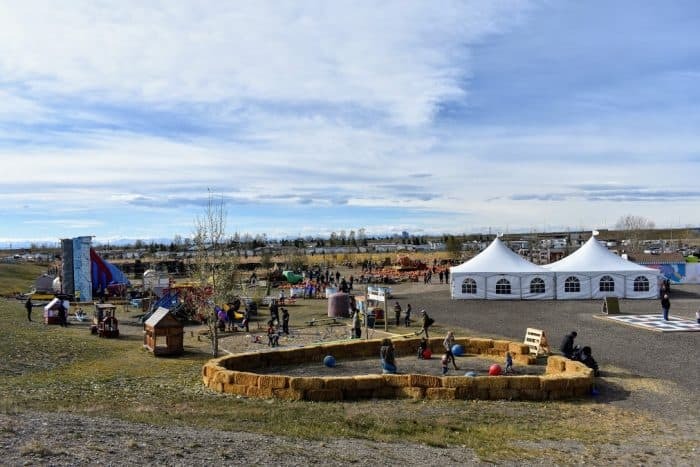 Cobbs is located on the right hand side of the road from 16th Ave, Hwy 1 East just before Stoney Trail. You turn left on Garden Road. See website for directions. Day Pass Cost: General admission: $14.50 for adults over 17. 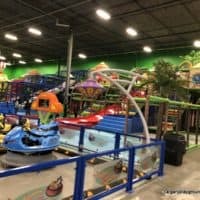 $13.50 for kids 3 -17 and Under 3 are free. 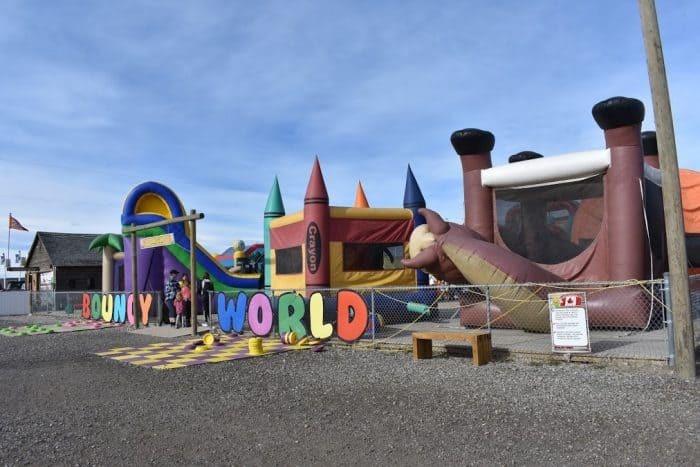 Family Passes (2 regular admission, 2 bought the farm admission) $69. Bought the Farm Admission: (Includes unlimited premium activities) $26. Annual Pass Break Even Point: Bought the farm admission seasons’s passes break even on the second visit. General admission passes break even on the second visit for kids and the third visit for adults. 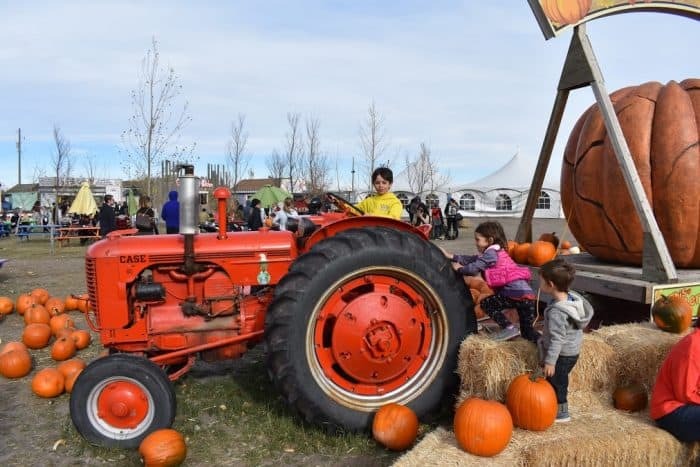 Premium Activities: Premium activities are included with the Bought the Farm pass or ‘kernels’ can be purchased separately. Each premium activity costs 5 kernels which can be purchased at the ticket counter or candy store. You can purchase 5 kernels for $5 with discounts for buying larger quantities. Premium activities for 2017 include Kangaroos, Black Light Mini Golf, Spider Climb, Climbing Wall, Ropes Course, Euro Bungy, Archery Tag, Funballz, Blaster Balls. 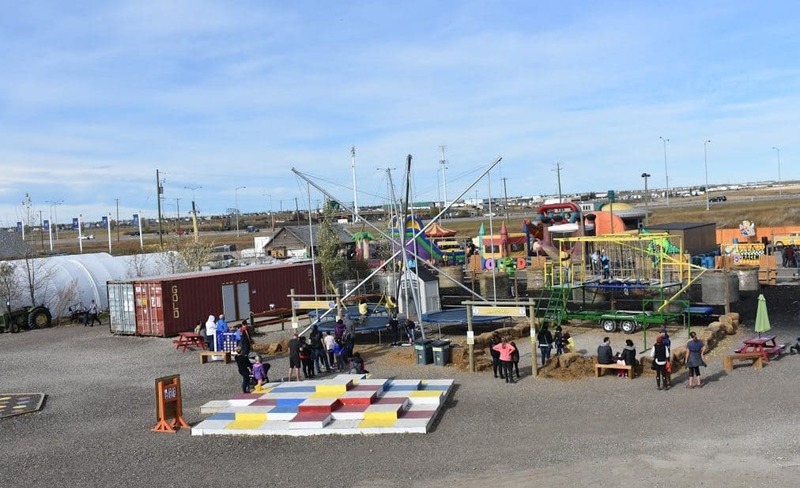 Food Services: Two food buildings side by side include a cookhouse and the Sugar Shack – Hot food such as fries, poutine, mozza sticks, hot dogs are available. The Sugar Shack has all kinds of candy, popsicles, packaged ice cream and cold drinks. You can also pack a picnic lunch and eat it in the park. There are plenty of picnic tables. 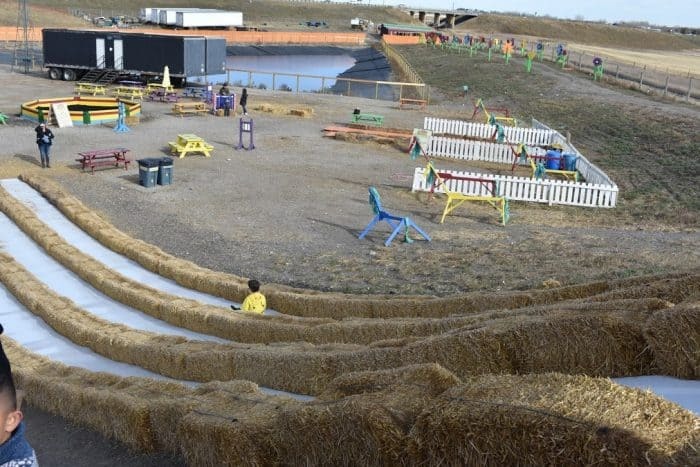 Cobbs Corn Maze opened in NE Calgary in mid August of 2013. We visited on a warm Sunday in Mid-October. We opted to get regular admission for everyone and didn’t do any of the premium activities on this visit. Cobbs sometimes hosts special activities such as character visits. 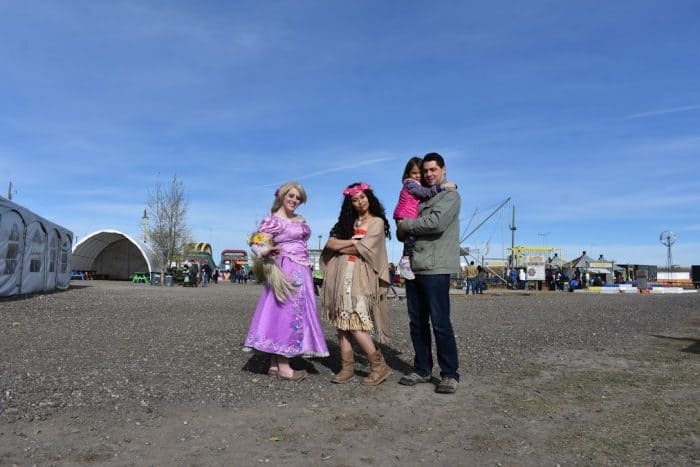 While we were there Moana and Rapunzel were there for photo ops – free with regular admission. They also had pumpkins available for purchase. 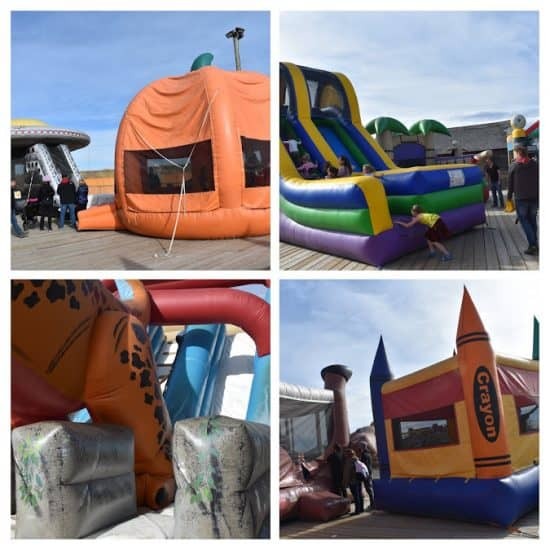 There were 8 different kinds of inflatable bouncy castles. 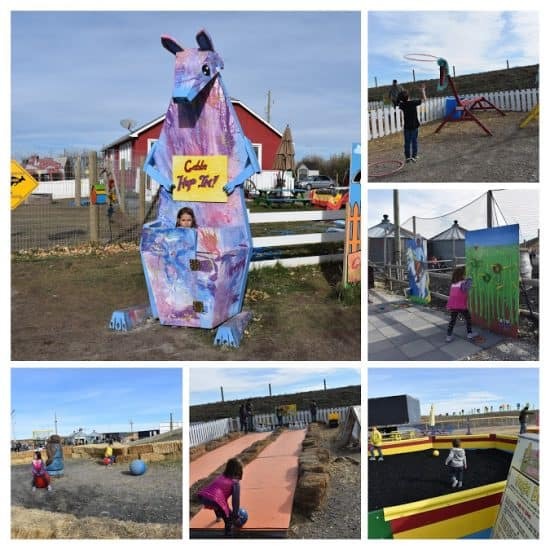 This area is included with regular admission and one of the highlights for my kids. On particularly windy days this area may be closed. 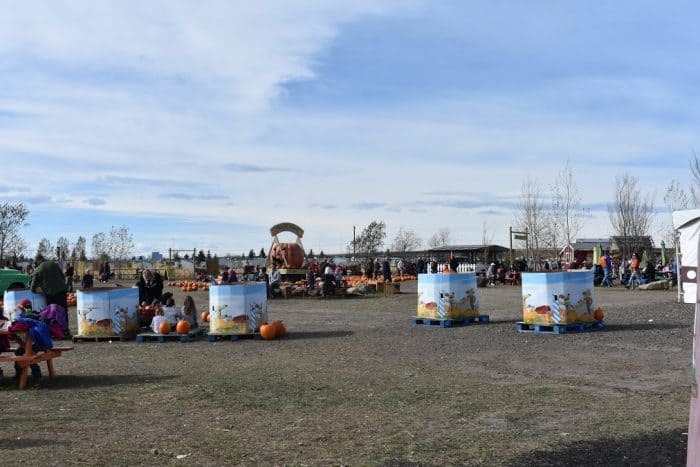 Corn Mazes in Calgary can be a little hit and miss depending on the growing season. 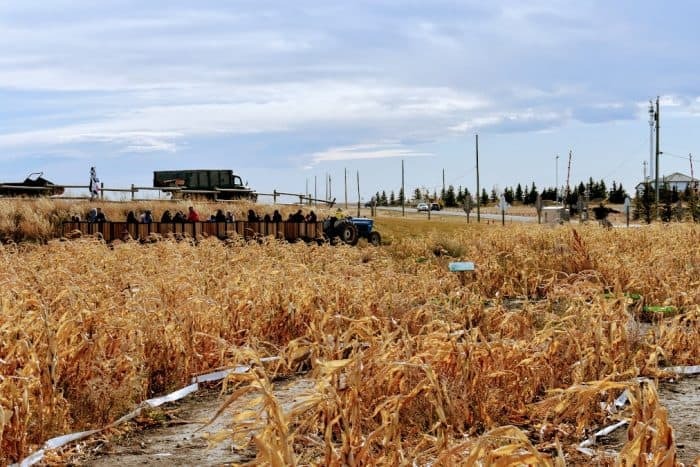 This year was a hard year for corn mazes so the maze was a bit short this year. They define the path with coloured tape so you can still find your way around. We had a fun time navigating the corn maze regardless. 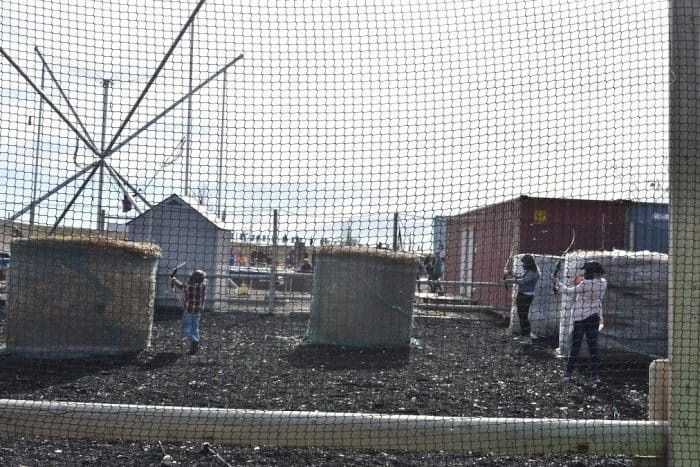 There was also a rope maze that we didn’t get to that you can access from the mid way point in the tractor ride. There are a number of different little games, puzzles and mini mazes. They aren’t particularly fancy or elaborate, but my kids enjoyed trying them out. 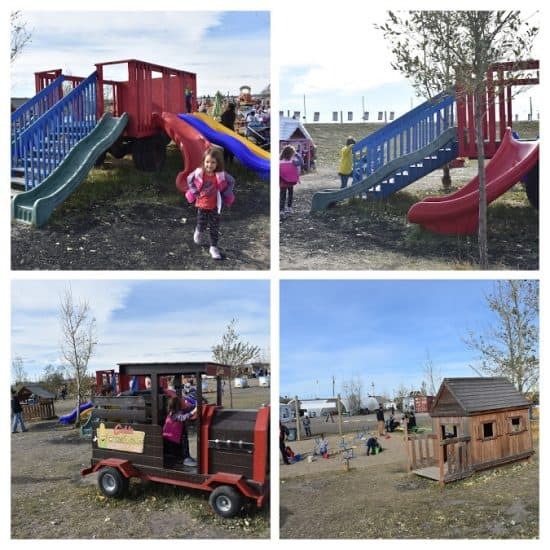 This area is primarily aimed at younger kids with a few slides and a couple play features like a car and little house. 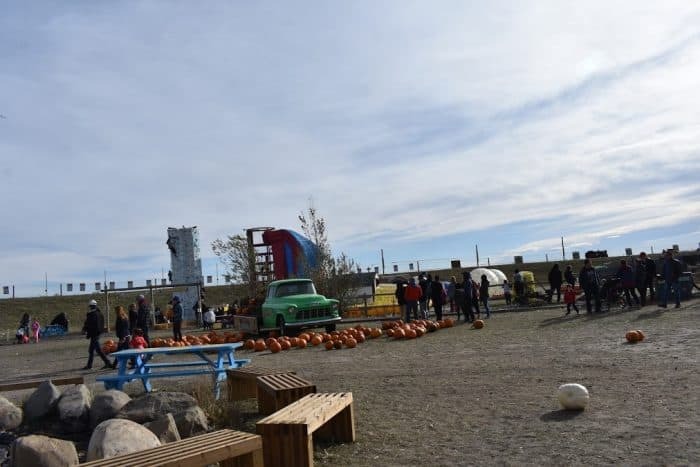 The ride is a 15-20 minute ride through the Corn Maze and over to a Rope Maze. You can get off at the halfway point or continue back in the loop. This was one of the highlights for our kids. There are a few different kinds of pedal carts – including single riders and carts where you can go with your kids. 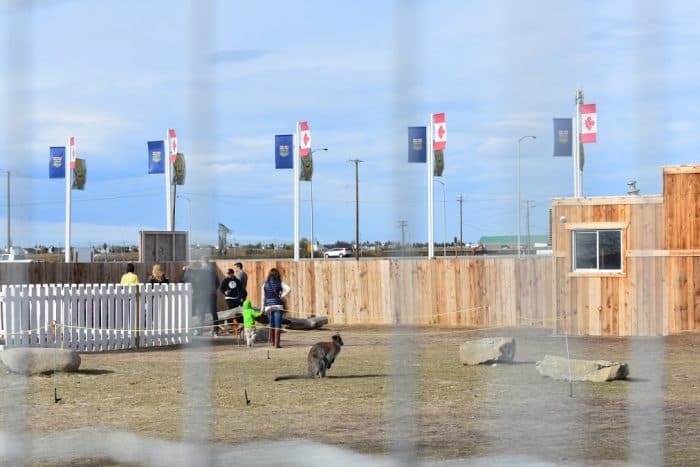 and the Kangaroo petting zoo. Overall we had a nice time at Cobb’s Corn Maze. We ended up spending about half a day and were able to easily fill out time without the premium activities. 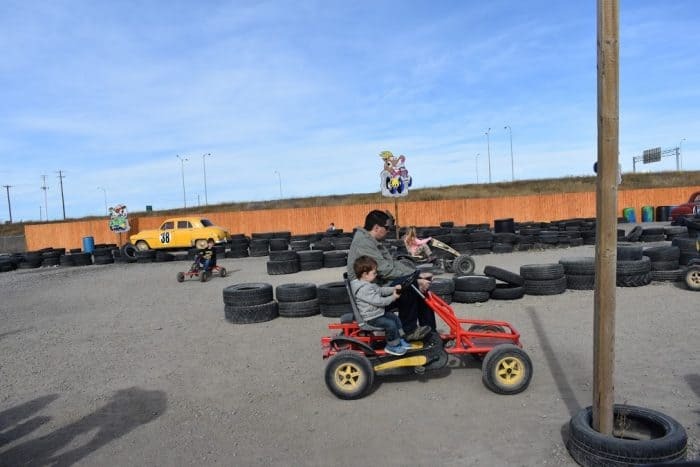 If your kids are a bit older or you are planning on staying longer, you will probably want to include at least some of the premium activities in your visit. One of the best things about Cobb’s is how close it is to the NE side of the city. 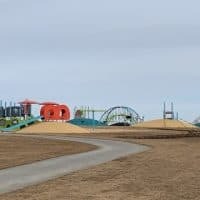 Have you been to Cobb’s Corn Maze? What did you think? 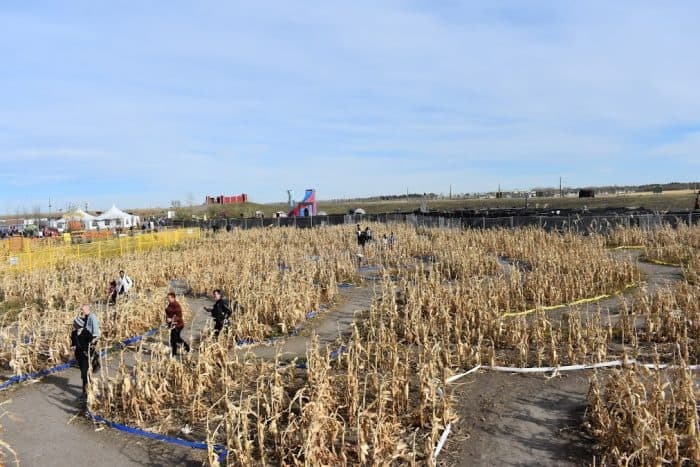 My family went to this corn maze this past weekend, and we were a bit disappointed. 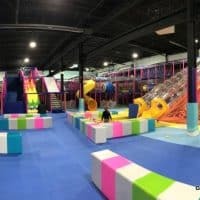 I was not impressed that much of what was most eye catching for the kids was not included in the basic rate. We found the pedal carts to be fun, the park was ok. The pig pen was disappointing for us. We enjoyed the tractor ride, but the thing the kids enjoyed the most was climbing a giant dirt hill (that I assume will be designated for something in the future)! Good to know what others think & that I wasn’t too overly critical. There is definitely a lot of room for improvement. We joked that the venue was a tad underdeveloped, however the kids did not seem to notice, nor care. They had a fun day running around with their friends, which to me is money well spent. 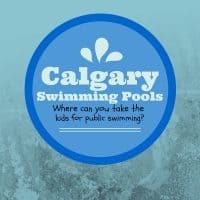 It was also refreshing to not have lines, and crowds for kids to get lost in….a rarity in Calgary. It was going fine untill we realized that almost everything in here is an extra. It was a shock as only a few things were included in the $48 price admition for a family Of four. Gouging at its best , no advertising at the front booth when you enter about what is actualy included. The reason for that is they want more money at every turn in here. Tickets sold are per ride works out to $3.25 each. Yikes. All in its $67…. 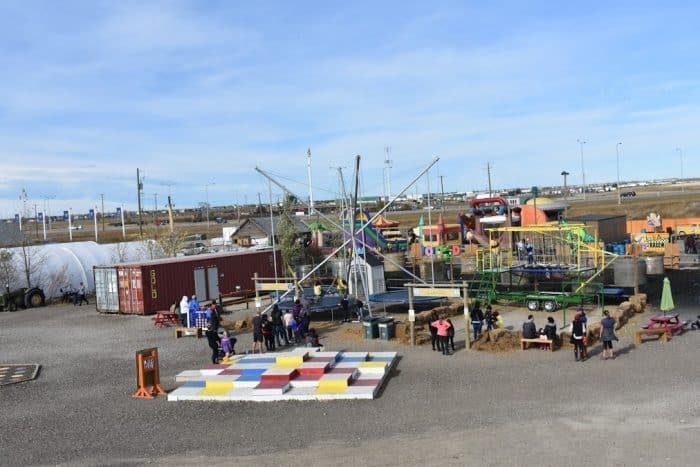 We could have gone elsewhere ( calaway park ) where all in about the same price for better and unlimited rides. A fun day but bring your wallet.